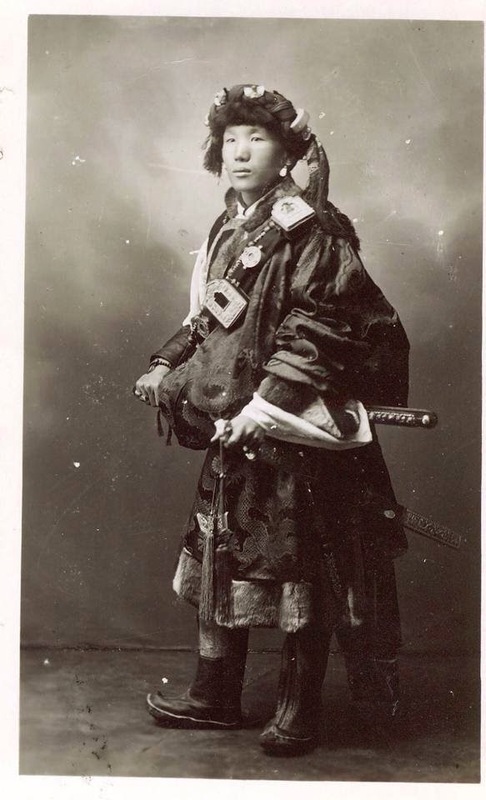 On 29th April 1914, Prince Sidkeong Tulku succeeded his father Thotub Namgyal as the 10th ruler of Sikkim. He had the benefit of sound modern education. He was an undergraduate at Pembroke College, in Oxford. Alexandra David Neel, who met Sidkeong Namgyal during her research, writes that the King would speak English more fluently than Tibetan and could also speak a fluent Hindi and a bit of Chinese. During his stay in Oxford, he had been exposed to the revolutionary ideas of the West. With the Political Officer J.C. White, he travelled around in India as well as in the neighbouring countries. After his homecoming from Oxford in 1908, Sidkeong had been assigned with the charges of Forest, Monasteries, and Schools. Even before assuming the power of a de facto ruler Sidkeong was at the helm of affairs that is evident from his important deals he made in 1913 AD as a Maharajkumar. The first important dealing was abolition of imprisonment as a penalty for non payment of debts and another was the record in the Council Proceedings on the ban of settlement of plain-men. Immediately after his accession, Sidkeong made negotiations with Messrs Burn and Company, Calcutta for concession to cut and sell timber, for manufacture of bamboo pulp, for hydro electric project and wire ropeways and that was satisfactorily concluded on 30th April 1913. It was due to his affectionate relationship with the British, even the Tibetan elites like Panchen Lama requested Sidkeong to inform the British for the arrangement of a meeting at Delhi. This exhibits him as a brilliant diplomat apart from an excellent and placid ruler who eliminated all the prior policies adopted by his predecessors and established good relations with the British India. It appears that, during his reign, the Tibetan Government had donated some tracts of land to Sikkim. Therefore, Sidkeong at this point can be regarded as an intermediary between Tibet and British. “The peasant clergies of these forests are generally poor and ill fed, and it is difficult for them to suppress a thrill of delight when death of a rich villager promises them several days’ feast”. The pathetic condition of the peasants forced them to send several complaints to the Durbar regarding the method of assessment of taxes by their respective landlords. Similarly, there were also other cases of migration of the peasants to Bhutan and Darjeeling due to the lopsided and oppressive taxation system. The hidden transcripts of the Sikkimese peasantry now thus started to come out in the form of petition and prayers to the Maharaja against the injustice they were subjected to at the hands of their landlords. In order to curb the selfish interests of the landlords, Sidkeong Tulku abolished the discriminatory taxation rates among the Bhutia-Lepcha and Nepali peasants and reverted to the old system of Koot or Kut. Possibly, taking the matters of harassment and exploitation into consideration, Sidkeong Tulku proposed to liquidate landlordism that was indeed a matter of relief to the subjugated peasants of Sikkim. On the contrary, by his reformist zeal, he not only had exasperated the feudal landlords, but also Claude White’s successor in the Political Office, Charles Bell. In a very short period of hardly ten months, Sidkeong did some remarkable tasks, for the development of Sikkim. His reign witnessed opening of several schools for the propagation of western education. There were two secondary schools at Gangtok, 25 primary and village schools, 16 missionary schools and 6 schools at the landlords’ estates. Likewise, few other schools were opening in the remote villages. Auxiliary, he made certain amendments in the prevailing laws and encouraged his subjects for plantation of trees in waste lands. Reserved forests were categorized into two ranges namely Eastern and Western and they were kept in charge of the Foresters. It is noteworthy to mention here that, these forests were to be managed by the landlords as Forest Officers of their respective Elakhas. Strict rules and laws were adopted to abolish corruption from the forest resources and if a Forest Officer failed to execute his responsibilities accordingly were dealt with a heavier hand. 13 Landlords were fined by the Durbar due to their negligence and casualness towards their duties that include the Bermiok Kazi who was occupying a higher position in the State Council. The evidence is ample enough to argue that Sidkeong Tulku was an austere, a devoted, and a peasant adoring Maharaja who was keen to eliminate corruption from every level of administration including monastery. He also encouraged his subjects to live a clean and hygienic life and established a hospital and a dispensary at Gangtok. However, his zeal and enthusiasm to provide a healthy administration in Sikkim did not last long. His heterodoxy and revolutionary ideas became a major cause of his death. In December 1914, Sidkeong was taken ill. It is believed that the King died due to a heart failure caused by jaundice due to a severe chill. However, it is also said that, a British physician from Bengal made a heavy transfusion of brandy, put him under a number of blankets, and burnt charcoal near his bed. Thus, Sidkeong died due to suffocationin suspicious circumstances at a very early stage. Unnamed Document, Year 1914, Palace Document, Namgyal Institute of Tibetology, Deorali, Gangtok. Letter to Sidkeong Tulku from Panchen Lama dated 1909-1913, Palace Document, Namgyal Institute of Tibetology, Deorali, Gangtok.